https://dralun.wordpress.com/ . He’s written an impressive number of informative and entertaining blogs on subjects as varied as the significance of the beard throughout history, and medical treatments for the time period. 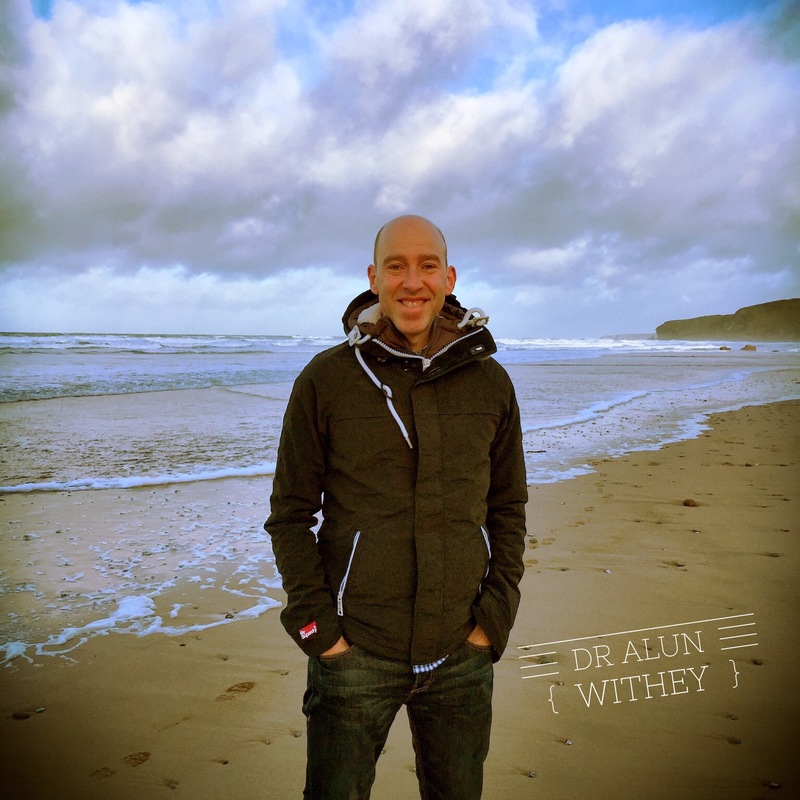 Dr. Withey is an academic historian of medicine and the body, and a research fellow at the University of Exeter. He did his thesis on medicine in 17th and 18th Century Wales. You can imagine what an invaluable source his work is for an historical romance author like myself. It’s like stepping back in time, only with modern plumbing. Welcome, Alun! Alun: Thanks for inviting me onto your blog! Jennifer: Would you mind sharing a little bit about yourself? Alun: I left school with no clear idea of what I wanted to do, and ended up in an office job, working for a major UK bank…where I stayed for more than 10 years. I’ve always had a love of history though, and especially the 17th Century, and started to study whilst I was still working. In 2003, with the support of my family, I took the big step of leaving the bank and went to University, taking my BA, MA, and finally my PhD on Welsh medical history in 2009, funded by the Wellcome Trust. The rest, as they say, is history! Finding medical history was a complete and happy accident. Jennifer: You are a 2014 AHRC /BBC ‘New Generation Thinker’. Can you tell us about that? Alun: Every year the New Generation Thinkers scheme gives an opportunity for 10 individuals to work closely with radio and television producers to develop their ideas for broadcast. It’s a highly competitive scheme, but is a fantastic opportunity for anyone (like me!) who enjoys reaching a broader audience for their work. Through the scheme I’ve been lucky enough to work on programmes for BBC Radio and the BBC Arts TV channel, often live, which can be both exhilarating and challenging, and speak to the public about my research. I’m certain that it’s also opened doors in other ways. One of the treatments you uncovered for “collick” was to distill the testicles of a chicken (do I have that right?) and take a few teaspoons when the need arises. Wow. Would you like to add anything to that? What’s one of the most bizarre treatments you’ve ever come across? Alun: Yes, you’re absolutely right about the chicken’s testicles! When I’m looking at early modern remedy collections I commonly come across one that I think must surely be the most unusual…and then another one crops up to take its place. Two favourites spring to mind: first is the ‘oil of swallows’ to treat shrunken limbs, which involves catching 20 (or more) live swallows, baking them to a powder, adding all sorts of oils and herbs, putting the pot into a hot dunghill for 2 weeks, then rubbing the oil onto the limbs. The other is a cure for constipation, which directs the afflicted person to squat down over a bucket of boiling milk for as long as they can bear it…or until something starts to move! Jennifer: I’m trying to imagine how people ever came up with such unusual treatments. And it’s also fascinating to think about how many people did survive and indeed thrived in that time period. What, in your opinion, did they do right? Alun: Studying early modern medicine can be challenging. You have to balance cool academic detachment with the urge to burst out laughing at times. In all seriousness though, it’s important to remember that early modern medical remedies were based on a perfectly logical, coherent and complex model of the body – the humours. If you believe, as they did, that the body works in a particular way, and that sickness is something to be driven out, then the majority of the remedies make perfect sense. Also, the many ingredients that seem strange to modern eyes are also based on their assumptions about the properties and powers that they contained. So, products from animals, herbs etc., were all believed to have certain virtues, which could be harnessed to cure particular ailments. I often remind people that what we think of as modern medicine (biomedicine) has existed for not much more than a century, whereas beliefs in the humours lasted thousands of years. That being said, I’m not suggesting that people go hunting for swallows, or chopping the ‘cods’ off chickens for their medicines! Jennifer: Ha ha! You’ve written at length about the social significance of men’s grooming. What would you like us to know about that? Alun: The project I’m currently working on is looking at the health and hygiene history of facial hair, between 1700 and 1918. A big part of this is how shaving moved from being something originally done by a medical practitioner (a barber or barber-surgeon), and over time became part of the personal grooming routines of individuals. It’s easy to think of personal grooming as something that is unimportant and mundane. But the decisions involved in shaving (or not shaving), the growth of male skin products, scents, and even things like cosmetic procedures, all involve decisions. These can link into fashion, but also other important things like health, ideals of appearance, masculinity and so on. That’s why I think that it is important to capture the history of these things over a long period, to see how things change and, perhaps more importantly, why. Jennifer: You are also the author of Physick and the Family: Health, Medicine and Care in Wales, 1600-1750, and Technology, Self-Fashioning and Politeness in Eighteenth Century Britain: Refined Bodies. I can only imagine the tremendous amount of dedication and patience it takes to unearth such detailed information. Alun: I think if you love what you do then the work is made much easier. I’ve certainly covered a lot of mileage over the years, hunting for the sources for my books, but the joy for me is encountering documents that probably haven’t seen the light of day for decades. I’ve never lost (and hope I never do) the thrill of touching a centuries-old manuscript, which was once the property of a real 17th or 18th-century person, and with their words and thoughts on it. It’s as close as you can get to actually being able to speak to them. Jennifer: Alun, I’m curious about what set you on the road to becoming a medical historian. Alun: It was actually a complete accident. In 2006 I was looking for sources for my undergraduate dissertation, which I intended to be about the civil wars in 17th-century Wales. I went to a record office on one particular day, and asked the archivist on duty whether he knew of any contemporary sources. He thought, and then suggested a 17th-century notebook in their collections, which nobody had really worked on. I ordered the book up, and was immediately struck by some remedies in it, including a cure for smallpox, as well as a pill ‘to make a horse pisse’! I did some further investigating and discovered that very little had actually been written on Welsh medical history, so this became the subject of my undergraduate dissertation…which was published, and then informed my MA thesis…which ultimately led to the PhD. What I love most about the history of medicine is that you’re ultimately dealing with people just like us – people who just wanted to avoid being ill, relieve their symptoms and get better. Even if we put all the grand theory and science aside, medical history makes us ask important questions about the human condition, and our journey through life. Jennifer: You’ve really given us a lot to think about. What’s the least and most favorite part of your job? Alun: I think the favourite parts would be the actual process of research – the thrill of the chase, and being able to pass some of these fantastic sources on, whether through formal ways like the academic publishing and teaching, or to a wider audience through the blog, or the media activities. It’s a joy to do. I don’t really have a least favourite…although I guess something like doing the final edits for a book, or especially the index, might come close! Jennifer: Doing an index does sound pretty daunting. What’s next for you? Alun: For the next two years I’m working on my Wellcome Trust-funded project on the history of facial hair, so there’s lots of research to do, writing and (hopefully) another book and other exciting things such as curating a museum exhibition in London in November. Jennifer: That’s exciting. How about music? It’s vital for me as a writer. Do you use it as inspiration for your writing? Alun: I love all sorts of music – especially the blues/rock, but I can’t work to it…I just end up listening to the music without actually doing the writing. Instead I usually put something gentler when I’m writing – often classical music (Vaughan Williams is a favourite), or something acoustic. Jennifer: Tell us about your guitar playing. Alun: I’ve been playing for 30 years now and can’t imagine being without a guitar. When I’m working there is always an acoustic guitar within reach and I often pick it up and play absent-mindedly…helps me get my thoughts together. I used to have 12 guitars, but now it’s down to a more reasonable 8! There is still one guitar that I’d love to own – a Gibson jumbo-acoustic. Next time I go to the States I may come home with one! Jennifer: Thanks very much for visiting my blog today, Alun. Alun: My pleasure, and thanks for having me.